Learn how to create a cross-cloud solution to provide a manually triggered process for switching from an Azure Stack hosted web app, to an Azure hosted web app with auto-scaling via traffic manager, ensuring flexible and scalable cloud utility when under load. With this pattern, your tenant may not be ready to run your application in the public cloud. However, it may not be economically feasible for the business to maintain the capacity required in their on-premises environment to handle spikes in demand for the app. Your tenant can take use the elasticity of the public cloud with their on-premises solution. Create a multi-node web application. Configure and manage the Continuous Deployment (CD) process. Publish the web app to Azure Stack. Learn to monitor and track your deployments. Microsoft Azure Stack is an extension of Azure. Azure Stack brings the agility and innovation of cloud computing to your on-premises environment and enabling the only hybrid cloud that allows you to build and deploy hybrid apps anywhere. The whitepaper Design Considerations for Hybrid Applications reviews pillars of software quality (placement, scalability, availability, resiliency, manageability and security) for designing, deploying, and operating hybrid applications. The design considerations assist in optimizing hybrid application design, minimizing challenges in production environments. Azure subscription. If needed, create a free account before beginning. An Azure Stack Integrated System or deployment of Azure Stack Development Kit. You find instructions for installing Azure Stack at Install the Azure Stack Development Kit. https://github.com/mattmcspirit/azurestack/blob/master/deployment/ConfigASDK.ps1 This installation may require a few hours to complete. Deploy App Service PaaS services to Azure Stack. Create Plan/Offers within the Azure Stack environment. Create tenant subscription within the Azure Stack environment. Create a Web App within the tenant subscription. Make note of the new Web App URL for later use. Deploy Azure Pipelines Virtual Machine within the tenant subscription. Windows Server 2016 VM with .NET 3.5 required. This VM will be built in the tenant subscription on Azure Stack as the private build agent. Windows Server 2016 with SQL 2017 VM Image is available in the Azure Stack Marketplace. If this image is not available, work with an Azure Stack Operator to ensure it is added to the environment. The key component of cross-cloud Scaling is the ability to deliver immediate, on-demand scaling between public and on-premises cloud infrastructure, proving consistent, reliable service as prescribed by the demand. Ensure locally deployed apps are configured for high-availability through on-premises hardware configuration and software deployment. The cross-cloud solution ensures seamless management and familiar interface between environments. PowerShell is recommended for cross-platform management. Update the DNS zone file for the domain. Azure AD will verify ownership of the custom domain name. Use Azure DNS for Azure/Office 365/external DNS records within Azure, or add the DNS entry at a different DNS registrar. Register a custom domain with a public Registrar. Sign in to the domain name registrar for the domain. An approved admin may be required to make DNS updates. 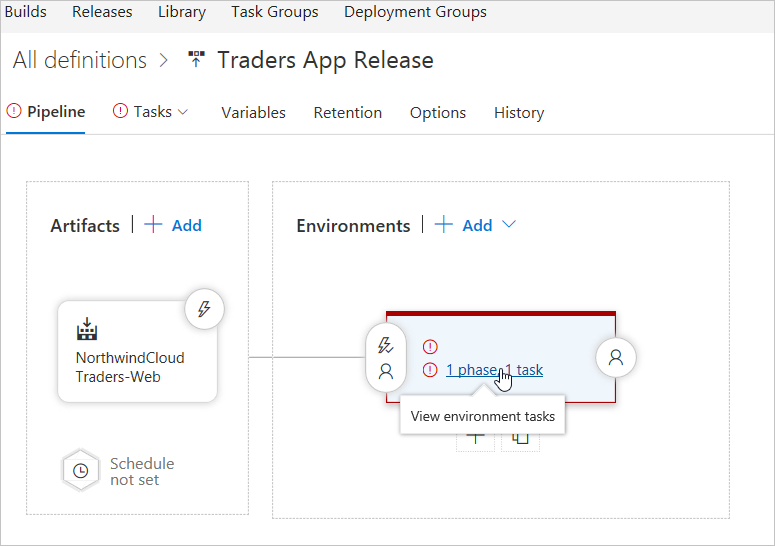 Set up hybrid continuous integration and continuous deployment (CI/CD) to deploy Web App to Azure and Azure Stack, and auto push changes to both clouds. Azure Stack with proper images syndicated to run (Windows Server and SQL) and App Service deployment are required. Review the App Service documentation "Before you get started with App Service on Azure Stack" section for Azure Stack Operator. Sign in to Azure Repos with an account that has project creation rights on Azure Repos. Hybrid CI/CD can apply to both application code and infrastructure code. Use Azure Resource Manager templates for both private and hosted cloud development. 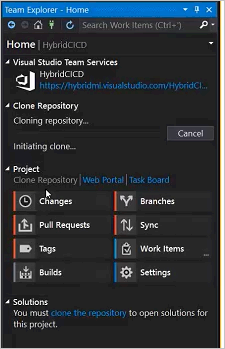 Clone the repository by creating and opening the default web app. Check in the code to Azure Repos using Team Explorer. Confirm that the application code has been checked into Azure Repos. Log into Azure Pipelines to confirm ability to create build definitions. Add -r win10-x64 code. This is necessary to trigger a self-contained deployment with .NET Core. Run the build. The self-contained deployment build process will publish artifacts that can run on Azure and Azure Stack. 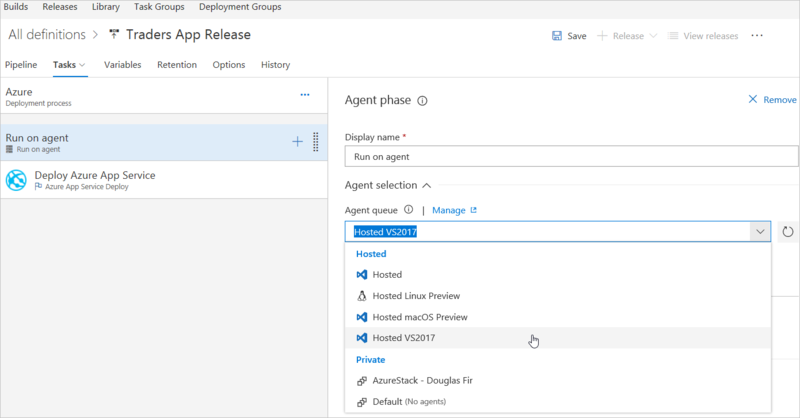 Use a hosted agent in Azure Pipelines is a convenient option to build and deploy web apps. Maintenance and upgrades are automatically performed by Microsoft Azure, enabling continual, uninterrupted development, testing, and deployment. Azure Pipelines and Azure DevOps Server provide a highly configurable and manageable pipeline for releases to multiple environments such as development, staging, QA, and production environments; including requiring approvals at specific stages. Select the plus button to add a new Release under the Releases tab in the Build and Release page of VSO. Apply the Azure App Service Deployment template. Under Add artifact, add the artifact for the Azure Cloud build app. Under Pipeline tab, Select the Phase, Task link of the environment and set the Azure cloud environment values. Set the environment name and select Azure Subscription for the Azure Cloud endpoint. Under Environment name, set the required Azure app service name. Enter Hosted VS2017 under Agent queue for Azure cloud hosted environment. In Deploy Azure App Service menu, select the valid Package or Folder for the environment. Select OK to folder location. Save all changes and go back to release pipeline. Add a new artifact selecting the build for the Azure Stack app. Add one more environment applying the Azure App Service Deployment. Name the new environment Azure Stack. Find the Azure Stack environment under Task tab. Select the subscription for the Azure Stack endpoint. Set the Azure Stack web app name as the App service name. Select the Azure Stack agent. Under the Deploy Azure App Service section select the valid Package or Folder for the environment. Select OK to folder location. Under Variable tab add a variable named VSTS\_ARM\_REST\_IGNORE\_SSL\_ERRORS, set its value as true, and scope to Azure Stack. Select the Continuous deployment trigger icon in both artifacts and enable the Continues deployment trigger. Select the Pre-deployment conditions icon in the Azure Stack environment and set the trigger to After release. By creating endpoints, a Visual Studio Online (VSTO) build can deploy Azure Service apps to Azure Stack. Azure Pipelines connects to the build agent, which connects to Azure Stack. Sign in to VSTO and navigate to the app settings page. In VSTS Groups, select Endpoint Creators. On the Members tab, select Add. In Add users and groups, enter a user name and select that user from the list of users. In the VSTS Groups list, select Endpoint Administrators. Now that the endpoint information exists, the Azure Pipelines to Azure Stack connection is ready to use. The build agent in Azure Stack gets instructions from Azure Pipelines, and then the agent conveys endpoint information for communication with Azure Stack. Use Azure Resource Manager templates like web app code from Azure Repos to deploy to both clouds. Sign in to Azure Repos with an account that has project creation rights on Azure Stack. The next screen capture shows how to connect to the HybridCICD project. Edit the WebApplication.csproj file: Select Runtimeidentifier and then add win10-x64. For more information, see Self-contained deployment documentation. Use Team Explorer to check the code into Azure Repos. Confirm that the application code was checked into Azure Repos. Sign in to Azure Pipelines with an account that can create a build definition. Navigate to the Build Web Application page for the project. In Arguments, add -r win10-x64 code. This is required to trigger a self-contained deployment with .NET Core. 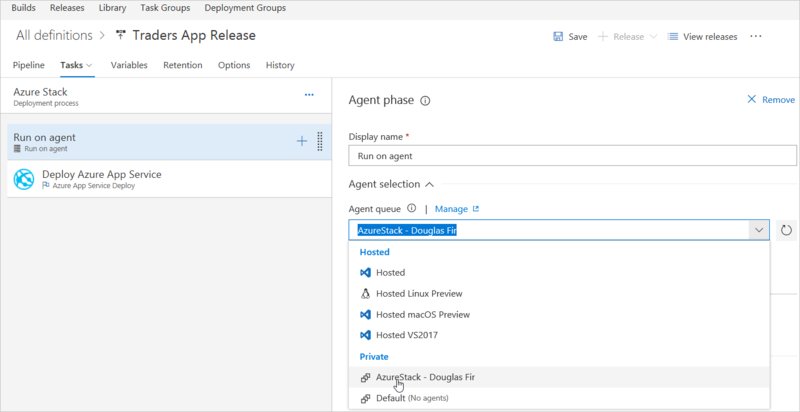 Using a hosted build agent in Azure Pipelines is a convenient option for building and deploying web apps. Agent maintenance and upgrades are automatically performed by Microsoft Azure, which enables a continuous and uninterrupted development cycle. Azure Pipelines and Azure DevOps Server provide a highly configurable and manageable pipeline for releases to multiple environments such as development, staging, quality assurance (QA), and production. This process can include requiring approvals at specific stages of the application life cycle. Creating a release definition is the final step in the application build process. This release definition is used to create a release and deploy a build. Sign in to Azure Pipelines and navigate to Build and Release for the project. On the Releases tab, select [ + ] and then pick Create release definition. On Select a Template, choose Azure App Service Deployment, and then select Apply. On Add artifact, from the Source (Build definition) select the Azure Cloud build app. On the Pipeline tab, select the 1 Phase, 1 Task link to View environment tasks. On the Tasks tab, enter Azure as the Environment name and select the AzureCloud Traders-Web EP from the Azure subscription list. 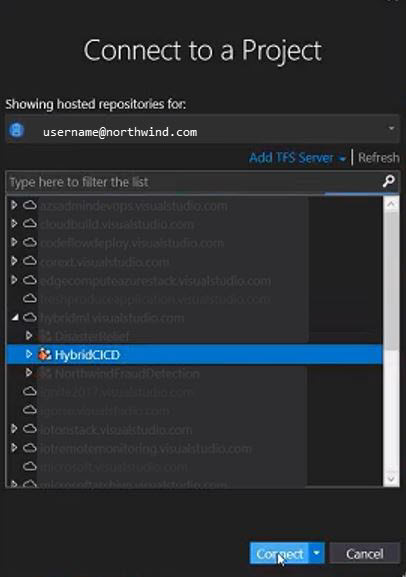 Enter the Azure app service name, which is northwindtraders in the next screen capture. For the Agent phase, select Hosted VS2017 from the Agent queue list. In Deploy Azure App Service, select the valid Package or folder for the environment. In Select File or Folder, select OK to Location. Save all changes and go back to Pipeline. 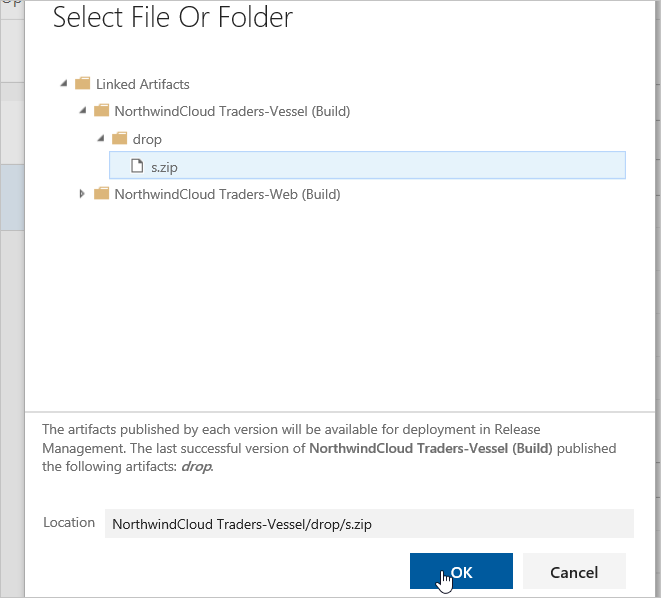 On the Pipeline tab, select Add artifact, and choose the NorthwindCloud Traders-Vessel from the Source (Build Definition) list. On Select a Template, add another environment. Pick Azure App Service Deployment and then select Apply. Enter Azure Stack as the Environment name. On the Tasks tab, find and select Azure Stack. From the Azure subscription list, select AzureStack Traders-Vessel EP for the Azure Stack endpoint. Enter the Azure Stack web app name as the App service name. Under Agent selection, pick AzureStack -b Douglas Fir from the Agent queue list. For Deploy Azure App Service, select the valid Package or folder for the environment. On Select File Or Folder, select OK for the folder Location. On the Variable tab, find the variable named VSTS\_ARM\_REST\_IGNORE\_SSL\_ERRORS. Set the variable value to true, and set its scope to Azure Stack. 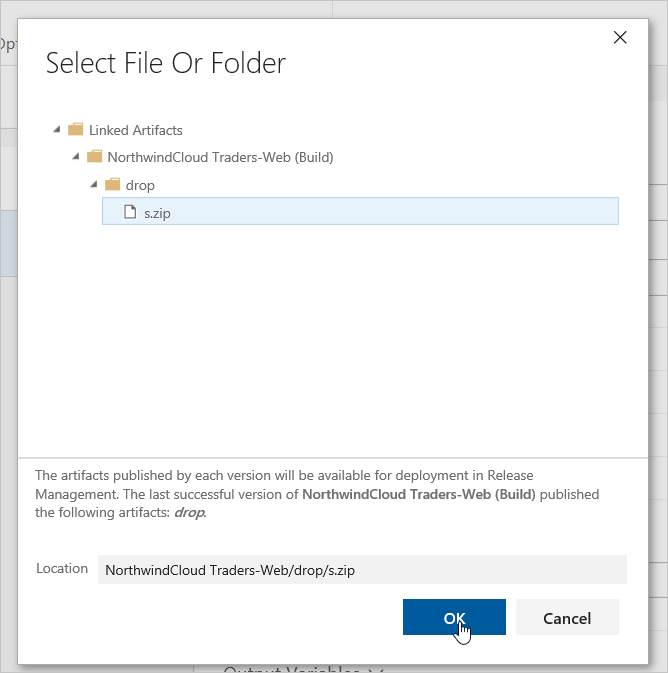 On the Pipeline tab, select the Continuous deployment trigger icon for the NorthwindCloud Traders-Web artifact and set the Continuous deployment trigger to Enabled. Do the same thing for the NorthwindCloud Traders-Vessel artifact. For the Azure Stack environment, select the Pre-deployment conditions icon set the trigger to After release. Some settings for release tasks are automatically defined as environment variables when creating a release definition from a template. These settings can't be modified in the task settings, but can be modified in the parent environment items. On the Pipeline tab, open the Release list and choose Create release. Enter a description for the release, check to see that the correct artifacts are selected, and then choose Create. After a few moments, a banner appears indicating that the new release was created, and the release name is displayed as a link. Choose the link to see the release summary page. The release summary page for shows details about the release. In the following screen capture for "Release-2", the Environments section shows the Deployment status for the Azure as "IN PROGRESS", and the status for Azure Stack is "SUCCEEDED". When the deployment status for the Azure environment changes to "SUCCEEDED", a banner appears indicating that the release is ready for approval. When a deployment is pending or has failed, a blue (i) information icon is shown. Hover over the icon to see a pop-up that contains the reason for delay or failure. Other views, such as the list of releases, also display an icon that indicates approval is pending. The pop-up for this icon shows the environment name and more details related to the deployment. It's easy for an administrator see the overall progress of releases and see which releases are waiting for approval. On the Release-2 summary page, select Logs. During a deployment, this page shows the live log from the agent. The left pane shows the status of each operation in the deployment for each environment. Choose a person icon in the Action column for a Pre-deployment or Post-deployment approval to see who approved (or rejected) the deployment, and the message they provided. After the deployment finishes, the entire log file is displayed in the right pane. Select any Step in the left pane to see the log file for a single step, such as Initialize Job. The ability to see individual logs makes it easier to trace and debug parts of the overall deployment. Save the log file for a step, or Download all logs as zip. Open the Summary tab to see general information about the release. This view shows details about the build, the environments it was deployed to, deployment status, and other information about the release. Select an environment link (Azure or Azure Stack) to see information about existing and pending deployments to a specific environment. Use these views as a quick way to verify that the same build was deployed to both environments. Open the deployed production app in the browser. For example, for the Azure App Services website, open the URL [https://[your-app-name].azurewebsites.net](https:// [your-app-name].azurewebsites.net). A flexible and robust multi-cloud service provides data security, back up and redundancy, consistent and rapid availability, scalable storage and distribution, and geo-compliant routing. This manually triggered process ensures reliable and efficient load switching between Hosted Web apps, ensuring immediate availability of crucial data. To learn more about Azure Cloud Patterns, see Cloud Design Patterns.